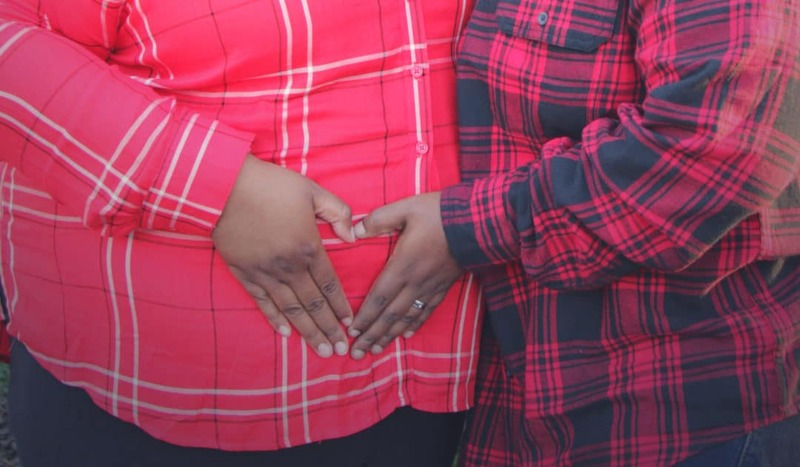 This LGBTQ plus size pregnancy story is shared in an effort to give other couples in their shoes hope. This mom wishes to remain anonymous and we’re honored to share her pregnancy journey. I am currently 36 weeks pregnant. When people look at my family, they probably don’t realize we fall in the LGBTQ spectrum, but we proudly do. Three years ago I met and fell in love with a masculine woman who was already the mother of a 13-year-old. We got married two years ago this May. Since then my wife came out as trans and is now my husband. He has solely lived as a man for over a year and a half. Since he was always very masculine, being on testosterone has just made him look more like a CIS guy, and that is generally how others see us. However, when we decided we wanted to expand our family, we obviously had to think outside the box. I have a seven-year-old son that I conceived from a known donor while in college. After months of considering finding another donor, we choose to use my previous donor again. Our original plan was to start trying the end of 2015, but my cycle was not regular enough. I tracked it for months, but could not find enough consistency to start doing at home inseminations. I, of course, became depressed and honestly thought maybe this isn’t for us. Fast forward to March of 2016, and my husband was like let’s try again. Signed a new contract with my known donor and started to track. Quickly I noticed a little more consistency in my cycles, and we did our first at home (actually in the car) insemination in May. I was sick for weeks and just knew I was pregnant, but of course 36 days later my cycle showed up. We had to keep trying but I felt crushed. It took me three months of home inseminations to conceive my seven-year-old. Next, we tried in June, and this time my husband made me test. He just knew I was pregnant…I thought he was just excited like I was the month before, but that turned out to not be the case. I got a positive pregnancy test bright in early one morning before work, and I could not believe it. My pre-pregnancy weight was 369. Of course the first doctor I went to see made a huge deal out of that. But I found a doctor that wanted nothing but the best for me, and we have had smooth sailing since. Currently, I weigh 375, so I have monitored my weight gain, but I have not denied myself of any cravings. I make it a point to walk on the treadmill at the gym as often as I can go and it has significantly helped. I haven’t had a single complication (no high blood pressure, no gestational diabetes, nothing). My son and I are perfectly healthy and fastly approaching our due date. I wanted to share our story for a few reasons. Being over 350 pounds before getting pregnant there was a part of me that thought it might not happen. I cried, wrote in my journal, and prayed. 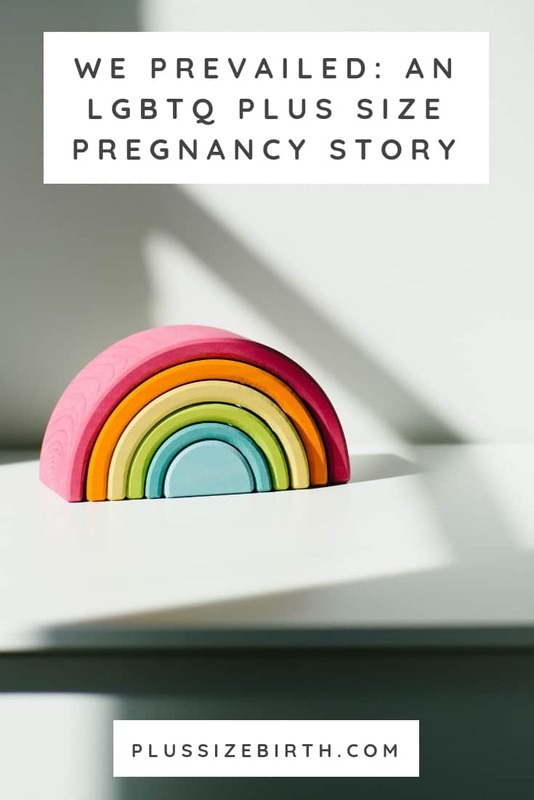 Also being LGBTQ and not going the conventional way to get pregnant I knew the odds were against us. Thankfully we prevailed and since we can any of you moms out there can too!! 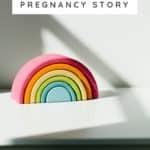 Thank you again to this mom for sharing her LGBT plus size pregnancy story! 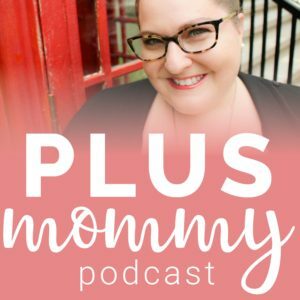 If you self-identify as plus size and have a trying to conceive or birth story you’d like to share with the Plus Size Birth Blog, please e-mail us at info@plussizebirth.com. Hugs! I’m glad this story gave you hope. I hope you’ll explore this website and tap into our many resources. This story called to me. My fiance met me when I was almost 7 months pregnant with my current 22mo old. He is an FTM transgender, and actually getting his gender confirmation surgery this month. I really want to have at least one more child, and so does he. Problem is, I don’t know where to look or how to get started. I’m pretty sure IUI would be sufficient enough, but to find a donor? Buying from a bank is overly expensive, where do I turn? I’m guessing the best place to start would be reaching out to your local LGBTQ community. I’m sure there are people locally who would provide you with some great insight. Wishing you and your partner all the best! This really gives me hope. I’m about the same size and we’ve been trying for almost 2 years now. I think maybe we’d have more luck with IUI. Thank you for sharing! I’m so glad this brought you some hope, Heather!!! Wishing you and your partner all the best with your TTC journey.